HTC Corporation announced the launch of their virtual reality system, HTC VIVE making it the first complete VR system available to customers in the India market. Vive will be available exclusively on Amazon.in via pre-order from April 22nd, 2017. The site http://www.vive.com/in will go live by 25 April 2017. 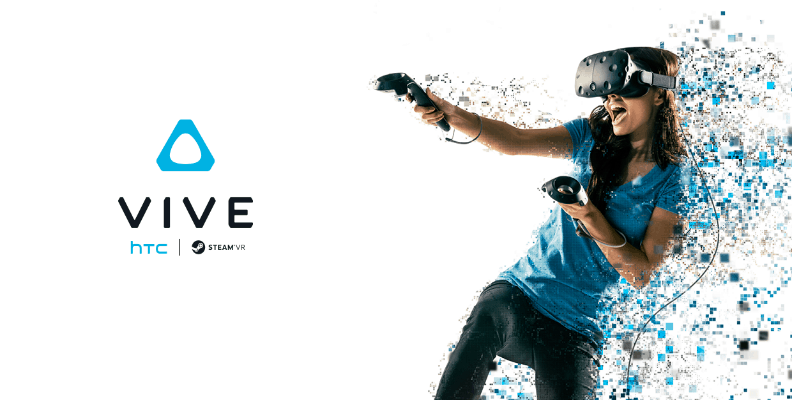 Vive will soon be available for an in-store experience across select locations in India. These select locations will be equipped with an interactive Vive demonstration station, fully open to the public for individual sessions to experience a variety of virtual reality content supported by the platform. 2 Richie’s Plank Experience: Are you afraid of heights? Take an elevator to our plank that sits 80 stories high above the ground, then dare to walk to the end! An experience made for first-time VR users. Plus, customize the settings to add a physical plank to your playing space. Vive owners can access a great variety of content at Viveport (www.viveport.com), Viveport is HTC’s global app store dedicated to the global app store for virtual reality, democratizing access to the most diverse selection of VR apps and content across education, design, art, social, video, music, sports, health, fashion, travel, news, shopping, creativity tools and more.